The foundation to a lasting relationship is trust. When a woman has trust in her relationship, she is able to be herself and communicate honestly without fear of being betrayed. Trust is loyalty, honesty and consideration. It involves being supportive and vulnerable. It means being able to share your biggest secrets and wildest dreams with your partner, without fear of judgement. Whether it’s regarding her career choices, family decisions, passions or finances, one thing a woman values is the support of her partner. When her partner supports her decisions, she knows that she isn’t alone. Having unwavering support allows a woman to feel confident about making healthy decisions. As she pursues her goals and follows her dreams, a partner who is more than willing to stand by her side gives her an extra feeling of strength. She knows that whatever comes her way, she doesn’t have to deal with it alone. A woman wants to feel understood and accepted. She desires intimacy, but not just of a sexual nature. Intimacy in a relationship means being open and honest, constantly communicating and engaging in pillow talk every now and again. It means taking time out of your day to show her that you care. Flowers for no reason, a kiss on the forehead, holding hands or making her breakfast in bed. Intimacy is loving and endless affection. Women want to feel desired, loved and cared for. It’s no secret that most women are emotional beings. They want to be accepted for who they are. Being vulnerable allows a woman to express herself and let go of any shame. It means she doesn’t have to pretend or hold back. 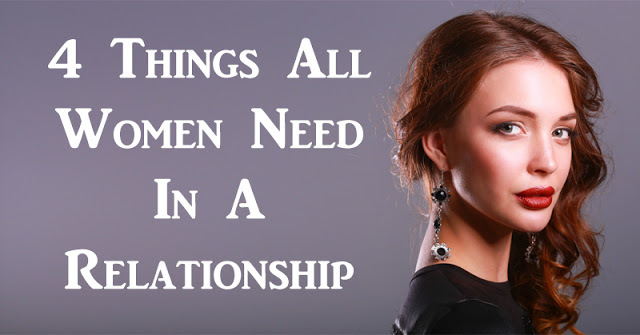 Women want a partner who loves them for who they are. A partner who accepts every part of them. Their humor, their quirks, their passions and even their self-proclaimed flaws. When a partner is able to be vulnerable back, it makes a woman feel safe.